Wayne Rooney ended an 11-year wait for an Anfield goal as Manchester United snatched a dramatic 1-0 victory at Liverpool on Super Sunday. An attritional game was heading for stalemate but the United captain reacted fastest 12 minutes from time, thundering home a rebound after Marouane Fellaini headed off the crossbar. Until that point, David de Gea had kept a rampant Liverpool side at bay with a string of fine saves in the second period, as United struggled to replicate the impressive offensive display from Wednesday's draw at Newcastle. The result sees United, who move up a place to fifth, open up a potentially crucial six-point gap over their north-west rivals in the table, while Liverpool - who slipped to a fourth straight defeat against their old foes - remain ninth. Rooney, meanwhile - in front of watching England boss Roy Hodgson - has now scored in four successive United games for the first time in four years, Sunday's winner a record 176th Premier League strike as he surpassed Thierry Henry's haul for one team. Both teams entered the game on the back of 3-3 draws which seemed to please both managers, Jurgen Klopp making just one change, with Lucas Leiva replacing Jordan Ibe, and Louis van Gaal named an unchanged side. United dominated possession early on yet it was Liverpool who created the clear openings, with the hosts spurning two good chances inside the opening 12 minutes. First Adam Lallana, having latched onto Lucas' through-pass, saw a header thwarted by the on-rushing De Gea before Roberto Firmino dragged the rebound wide. Shortly after, Firmino tried to turn provider, picking out James Milner with an exquisite diagonal, but the England midfielder blazed over the target. Fellaini and Lucas had to be physically restrained after the Liverpool midfielder appeared to be stamped on by the Belgian, although replays questioned whether there was any intent from the United man. Ander Herrera's sliced effort shortly before the half-hour mark was all United could muster before Liverpool spurned another chance. Jordan Henderson combined brilliantly with Lallana and Firmino to open up the goal but again the finishing was amiss as his effort failed to test De Gea. 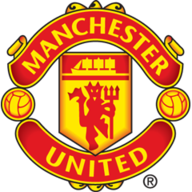 United's toothless attack was forced to defend as Anthony Martial's crucial intervention, the forward stepping in to dispossess Firmino, prevented Liverpool from hitting United on the counter six minutes before the interval. Early chances in the second half suggested Klopp had instructed his side to get at United after the break but, having done well to get away from Chris Smalling, Emre Can was denied by De Gea, who deflected the German's effort agonisingly across the face of goal. United enjoyed their best spell of the game shortly after as Martial showed great control to get away from three Liverpool defenders before fizzing a low effort from a narrow angle wide. And then the visitors had two half-hearted penalties claims turned down in quick succession, as referee Mark Clattenburg ruled Mamadou Sakho and Lucas not to have fouled Martial and Herrera respectively. De Gea then produced the save of the game to tip Can's rasping drive away on 66 minutes, before denying Firmino's effort on the rebound, before Sakho failed to rise high enough to head Milner's cross home on 72 minutes. And Liverpool were made to pay for their prolificacy in front of goal as United snatched an unlikely victory with their first shot on target. The hosts failed to react to a quick United corner, allowing substitute Juan Mata to find Fellaini in the area. His header struck the bar and fell for Rooney, who made no mistake in sealing a vintage United smash-and-grab raid at the home of their fiercest rivals. 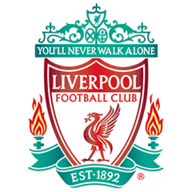 Liverpool: Mignolet (6), Clyne (6), Toure (7), Sakho (8), Moreno (7), Henderson (7), Lucas (6), Can (7), Lallana (6), Firmino (7), Milner (6). Subs used: Benteke (5), Caulker (5), Ibe (6). Manchester United: De Gea (9), Young (6), Smalling (7), Blind (7), Darmian (7), Schneiderlin (7), Fellaini (7), Lingard (6), Ander Herrera (7), Martial (7), Rooney (8). Subs used: Depay (5), Mata (7), Borthwick-Jackson (6).